"Futuro Beach", the latest feature from Brazilian director Karim Aïnouz, begins much as you’d expect from its title and its associated setting. A pair of young men ride their motorbikes on a glistening beach with sunny blue skies overhead. After the adrenaline rush, they leap into the water to cool off. Tragedy soon strikes however, cutting this idyllic vacation abruptly short and setting off the narrative of this moody drama. NEW YORK, NY (FEBRUARY 10, 2015) – The 20th Anniversary of Rendez-Vous with French Cinema, the Film Society of Lincoln Center and UniFrance films’ celebrated annual showcase of the best in contemporary French film, sweeps across screens at the Film Society of Lincoln Center, the IFC Center, and BAMcinématek, March 6-15. When it comes to foreign film, the conversation often surrounds a select few countries like Italy, France, Spain etc. Since the turn of the century however, there's another under-discussed film movement that's become just as exciting - contemporary Israeli cinema. One such example of this is 2001's "Late Marriage", directed by Dover Koshashvili. "Late Marriage" is a story of family, tradition, love and the complicated space in which they coexist. 31-year old PhD student Zaza (played by Lior Ashkenazi) learns this first hand in the film, as his parents have pushed him into the traditional marriage hunt that's typical of his Georgian-Jewish heritage. We get to see one of these arranged courtships early in the film, as he meets a young high school girl upon the urging of both families. Neither party is too keen however, much to the dismay of both families, who wait outside of the girl's room expecting a decision. Unsurprisingly, Zaza uses an "I'll think about it" excuse and he's on to the next one. After yet another failed matchmaking attempt, both the family and the audience are left wondering...why can't Zaza commit? As it turns out, Zaza has already found love, engaging in a secret romance with a beautiful divorcee named Judith (Ronit Elkabetz). Unfortunately, his family customs prohibit him from marrying her, as she's neither a young virgin nor is she sufficiently wealthy. Stuck between a rock and a hard place, Zaza must now decide whether family or true love is more important. From its opening moments, "Late Marriage" is a fascinating look at this culture. The two families are cordially seated in the living room, but the excitement is muted. Despite the romantic intentions, the occasion feels more like a business transaction. Zaza's father even states, "Too much importance is given to the heart and love." Furthermore, the tradition disallows any drinks from being served. This serious attitude manifests itself in even more interesting ways later in the story. When Zaza's parents learn of his secret affair, their reaction reflects an almost mafia-like condescension and contempt. It's undoubtedly the effect of a partriarchy, but one where the women are willing accomplices. As Zaza's mother, Lili Koshashvili is brilliantly demonstrative in this regard, conveying that unique motherly combination of disappointment and vexation on her expressive face. When she firmly declares that she'll not accept a divorced woman into her household, you believe every word. The screenplay is truly remarkable in the way it explores the generational divide that causes the central conflict. What really brings it all together though, is the sort of droll sense of humor that accompanies all the tension and drama. There's a strong sense of the folly of the entire ordeal, depicted in a way that's simultaneously sad and hilarious. It comes across clearly in the obvious chemistry between Zaza and Judith (largely due to a superb pair of performances from Ashkenazi and Elkabetz), as well as the reluctant admission of such by his antagonistic family. As the film's domestic conflict plays out in front of our eyes, "Late Marriage" proves itself to be outstandingly perceptive. It's the kind of narrative that just gets richer and richer as it goes along, with an ending that gives you much to ponder. I can't recommend this film highly enough. If you haven't seen it, do seek it out. It's absolutely one of the best films of the 2000s. After a long hiatus, "Oldie Goldies" is back again with a look at one of the earliest Best Picture winners "The Great Ziegfeld". This grand musical recounts the life of the ambitious stage producer Florenz Ziegfeld, who went through many ups and downs in his quest to make the most spectacular shows. 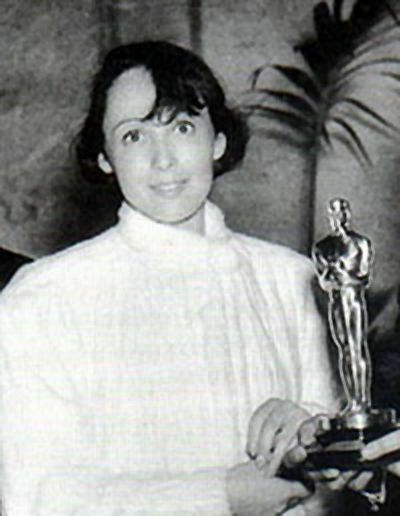 In addition to Best Picture, the film won Best Actress for Luise Rainer and the now discontinued award for Best Dance Direction. It was also nominated for Best Art Direction, Best Director, Best Editing and Best Original Screenplay. Opinions of the film have soured over the years, but I was thoroughly captivated by its extravagant spectacle and strong performances. The elaborate "A Pretty Girl Is Like A Melody" sequence is truly a sight to behold. Have you ever had a friend who's so smart and eloquent that you enjoy simply listening to them speak? Well, that pretty much sums up the experience of watching Abderrahmane Sissako's 2006 film "Bamako". In it, the Mauritanian director stages a mock trial to dig into the various issues affecting true statehood in many African nations. "Bamako" refers to the capital of Mali, which is the setting for the trial at the heart of the film. Locals and foreigners alike have gathered to debate a pertinent issue facing the country and its African neighbours. Specifically, should the World Bank and the International Monetary Fund be held accountable for the prevalence of poverty in Third World countries? As various individuals step up to put forth their arguments, the film evolves into a thorough debate of politics, economics and sociology. Sissako has long been an advocate for human rights, particularly for persons living in the developing world. 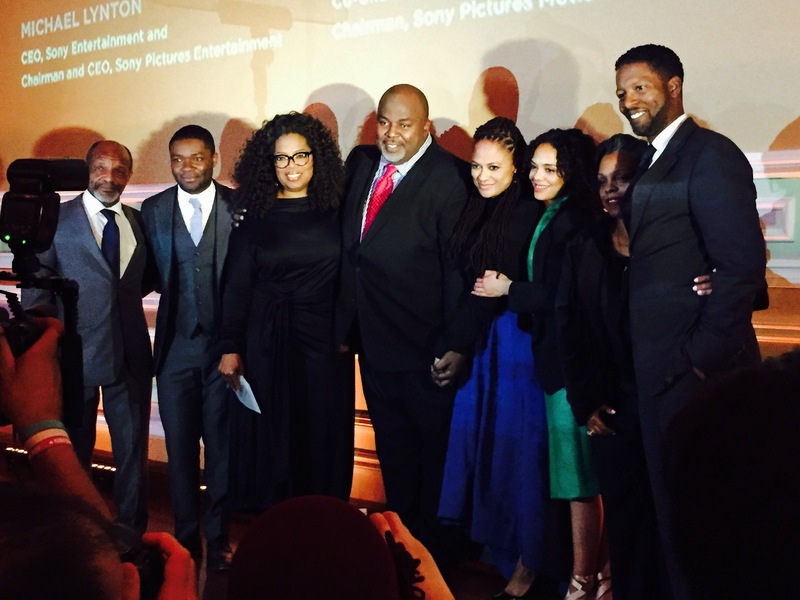 His filmography reflects this passion, making socially conscious films that often address the struggles of life in various African countries. In his own words, when he makes a film "it must have a meaning, a universal message, it must alert and concern all of humanity". This filmmaking philosophy certainly comes across clearly in "Bamako", where he elaborates on Africa's plight in compelling detail. "Bamako" is a courtroom drama in the purest sense of the term. There's no gathering of evidence, no investigation. Sissako trusts his audience to approach the film with a basic knowledge of the topic (or at the very least, a level of interest), lest you be left behind. Most of the plot takes place in a rustic yard setting, resembling a town hall meeting rather than any matter of international importance. This quaint setting is part of the film's beauty however. The idea of bringing together highly successful Europeans with more humble Malians acts to level the playing field. 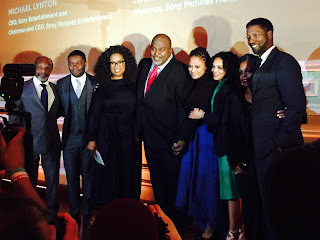 It's thus a rare, fascinating opportunity for everyone's perspective to be given equal weight (though its argued in the film that it's skewed towards the Africans). With that, the place is set for a passionate debate from both sides. As the plot unfolds, all the pertinent topics are discussed: corruption, colonization, capitalism, exploitation, poverty, national debt, hunger, AIDS. No stone is left unturned and all of it is presented without any stylistic embellishments. It's a wonder then, that "Bamako" manages to sustain audience interest for its nearly 2 hour runtime. It barely deviates from its straightforward court setting, with only a pair of inconsequential subplots to speak of (the life of a local bar singer and a fake Western that's shown to a captive audience). Such is the power of good writing though. Demanding cineastes may desire something more dynamic (myself included), but there's value to be had in this sphere of political cinema. Sissako has a lot to say about this world and his words are very powerful. I went back into the vault for this week's top pick, finally taking a look at Niki Caro's 2002 film "Whale Rider". This modest indie drama came to us all the way from New Zealand is most commonly remembered for the Oscar-nominated performance of its young lead Keisha Castle-Hughes. At the tender of 12, she made headlines as the youngest ever Best Actress nominee (recently usurped by Quvenzhane Wallis), managing to break through among the Hollywood establishment. It was a true Cinderella story that's all the more impressive when you consider she was the film's only nomination. Don't be fooled by this bit of trivia however, as the film surrounding her performance is equally as noteworthy. "Whale Rider" is the story of Paikea (Keisha Castle-Hughes), a young Maori girl who is the most recent descendant of her tribe's storied whale rider, their original ancestor who came to New Zealand on top of a whale. As a typically patriarchal tribe, her birth is met with some disdain, which is exacerbated by the early death of her twin brother. None is more peeved than her own grandfather, who longs for a male heir to carry on the family legacy as leader and chief. As she grows older however, she begins to demonstrate all the qualities to prove herself worthy of the honor that is due to her. With scarcely any other viable alternatives among the young boys in an increasingly modern society, the community is forced to reconsider their perceptions of gender and tradition. Much like her 2005 follow-up "North Country", Caro focuses the film intently on the development of the main character. There's an undeniably pro-feminist message to the film and the screenplay wears it effortlessly on the shoulders of Keisha Castle-Hughes. It's easy to see why she garnered the attention of Oscar voters, as she shows such maturity in the way she downplays the sympathy card. While the adult supporting cast wears their emotions on their sleeves, she's a model of introspective restraint. When she eventually does release all that internal pain and sadness, it's nigh impossible to not get swept up in her poignant journey. 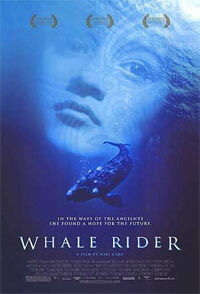 This journey and its symbolism is the main concern of "Whale Rider" and its conveyed with a elegant fable-like quality. Visual metaphors abound through the characters' connection to nature and the whale in particular. It all culminates in a breathtaking finale that brings everything together to a state of utmost grace. For the most part, the film is unconcerned with flashy cinematography, but its conclusion captures stunning images which illustrate the circle of life. With a superlative lead performance and fascinating window into a culture we rarely see on screen, "Whale Rider" is a true gem of the early 2000s. It's sure to leave you feeling moved and inspired. If you haven't checked it out before, I'd highly recommend you do so now. Oops, totally forgot about this. 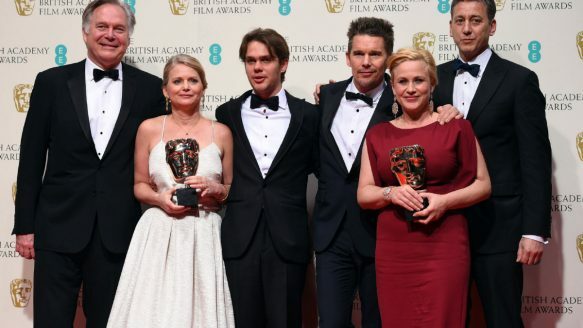 Here are my quick predictions for today's BAFTA awards. Travelogue films have been one of the enduring subgenres in film for many years. From road trips to international adventures, moviegoers and filmmakers alike have gravitated towards its thrilling cinematic possibilities. The same goes for this week's top pick "Land Ho! 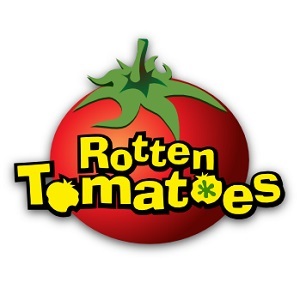 ", a comedy written and directed by Aaron Katz and Martha Stephens. "Land Ho" follows a pair of former brothers-in-law who set forth on an impulsive trip to Iceland. Both are retired and in their 60s, each harboring sadness over failures in love and their professional careers. Though they've been apart for years, the upcoming trip provides a welcome opportunity to rekindle their friendship and find happiness. A fun-filled adventure awaits with delicious food, jawdropping sights and warm people that are enough to make them feel like young men again. It would be easy to judge "Land Ho!" from its synopsis and expect a maudlin affair. "The Bucket List" certainly comes to mind when thinking of recent films of this ilk. Katz and Stephens have come up with a different itinerary altogether however, creating something that's life-affirming but thoroughly unassuming. Indeed, rather than "The Bucket List", a more apt comparison would be Richard Linklater's Before trilogy. The film shares the same affinity for long conversations, enhanced by an effortless sense of humour. Like Jesse and Celine too, it's also strengthened by the engaging characters/performances, in this case a pair of opposite personalities by the names of Mitch (Earl Lynn Nelson) and Colin (Paul Eenhoorn). Mitch is the more outgoing of the two, a rambunctious fellow who's unafraid to say anything that comes to his perverted mind. As written, he could have been insufferable, but Nelson's performance makes his crass attitude somehow endearing. He reminds you of that dirty uncle who says inappropriate things but you know that it's all in jest and deep down, he has the biggest heart. Colin is certainly aware of this - the entire trip was paid for by Mitch after all - and Eenhoorn's unperturbed reactions cue us in to the longstanding bond between the men. It's the quintessential case of "opposites attract", as Colin's reserved, charming British demeanour counters Mitch's skirt-chasing, pot-smoking personality beautifully. "Land Ho" runs a brisk 95 minutes but you could easily spend another hour with this delightful pairing, a testament to the script's richly-drawn characters and the easy rapport between the principal actors. There's so much joy to be had in this film, just by getting to know the characters. The setting almost becomes an afterthought as these men are attraction enough. Despite their age, not once does the screenplay feel the need to be morbid. People always say to "act your age", but "Land Ho!" is a beautiful reminder to embrace life with open arms no matter how old you are.